Rustom Movie Trailer: Here you can watch the Official Trailer of upcoming Akshay Kumar’s Bollywood film, Rustom. The Rustom Trailer has released officially on the Internet to the public by the filmmakers on 30th June 2016 by using YouTube. The Movie was created with the most recent sensational villain of 2.0 and Bollywood tiger Akshay Kumar on the lead role. Tinu Suresh Desi was directed this Rustom 2016. All the unit of the film were busy about their movie releasing as per the scheduled date of August 12, 2016. Scroll down and watch the Rustom Movie Trailer. The most awaited movie will be released as soon on the August EID week. The Promotion works are already started along with the recent Rustom Poster launch. 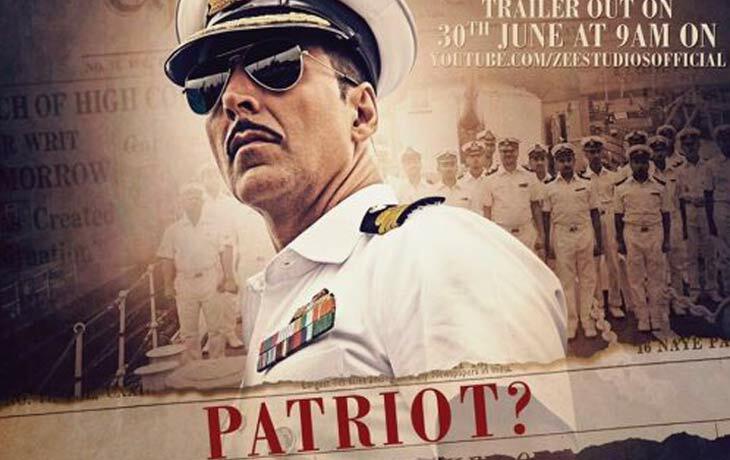 The Rustom poster has impressed many of the Aksay Kumar’s fans and some general audience. At this point, here it is an another promotion for the film. The Trailer of Rustom has been launched on the YouTube and Trending at First of this June 30th morning on Twitter and other social media. The trailer shows the storyline as partially, were the hero of this movie, Akshay Kumar act as a sincere naval officer and it is a real story and life history of K. M. Nanavati. The female lead role of this film is Iliana D’cruz. Esha Gupta also shared his presence along with Akshay Kumar and Iliana D’cruz. Now-a-days in Cinema Industry, Production and Technical department plays an important role. As like that, Neeraj Pandey produced this film by using his banner name of Zee Studio and Kriraj Entertainment cape of Good Films is associated with the production part. Aruna Bhatia, Nittin Keni, Akash Chawla, Virender Arora, Ishwar Kapoor and Shiital Bhatia are the co-producers of the movie. The Screenplay is another important fact for the every film, here Vipul K Rawal handled the screenplay of Rustom Movie. Where there is a four Music composer for this film such as Ankit Tiwari, Jeet Ganguly, Raghav Sachar and Arko Pravo Mukherjee.